Don’t be confused, okay? For those who don’t know what AMEX is, it’s the nickname for “American Express.” That’s right. The credit card! Okay, so wait a minute: this is a small business blog. What the heck are we talking about a credit card here? That literally makes no sense. Listen up, though; because you’re going to be blown away. Like YourBuzz, an online connection dashboard that connects your business with all the customers you want. Feedback galore, right on your smartphone. Of you’re looking for convenience in pay for things like your office materials, equipment, or other expenses, AcceptPay’s pretty handy. 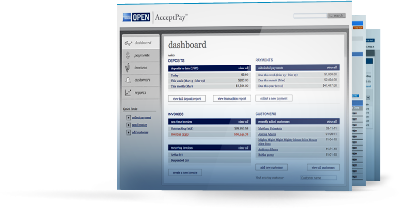 It’s also an application allowing clients or customers to pay you quickly and easily! If that’s not your issue, you have a handful of apps on money-saving resources, like the app BusinessTravel, a way for you to book flights online and get some major deals. The great thing is it’s actually designed for small businesses and entrepreneurs. All in all, this is pretty handy stuff. The catch is, well, you need to own an American Express account. That means you actually need to have an American Express card. Sadly, that company’s hard to attain approval for an account. But once you have it, you need to get over the fact that this is not just a credit card. It’s a small business opportunity. And the fact remains: every business needs a line of credit. Of course, American Express is the top of the line. We love American Express — yes, we do. But the thing is you shouldn’t limit yourself to what the App Center has to offer. There’s a whole lot more out there in terms of marketing and advertising. Why? Because there’s no limit to what you can do. There’s no such thing as ‘enough.’ This is especially true with the ongoing ruling kingdom of cyberspace. Dare I say — cyberspace I think is even bigger than the planet Earth (if we were to try and translate cyberspace to human malleable measurements). So when you utilize resources, utilize as many different resources as possible. Not just the app center. But everything — Facebook, Zaarly, MySpace, LinkedIn, Craigslist, FourSquare. Everything. American Express, I mean. You can’t beat the quality of this credit card company. They know what matters in this world. And in cyberspace. So enjoy it while you can before all the Mastercards and Visas gang up on the idea and start a cyberspace war. This entry was posted in Halloo, Marketing, Sales, Small Business by Pierre. Bookmark the permalink.